Every August I have the same dream/nightmare. It varies a little, but the essence remains the same each year. In the dream, I’m back in high school participating in two-a-day football practices again as a member of the Lake Wales Fighting Highlanders. When your mascot is a man in a skirt, you have to compensate by scowling. Similar to the college nightmares people report having about not showing up for a class for an entire semester and then suddenly having to take the final exam, this dream takes me back to an impressionable time in my life when I tackled a challenge that was both immensely difficult and personally rewarding. 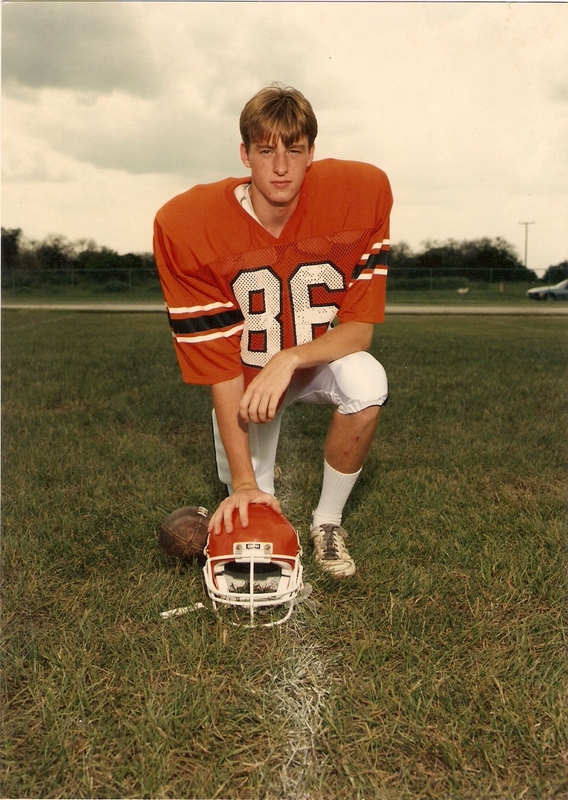 Much has been written about the elevated status of football in Southern culture, and my formative years spent in two football hotbeds – Texas and Florida – instilled a desire to prove my mettle on the gridiron. Playing football in Central Florida is incredibly difficult. It is hot almost the entire season, and the afternoon rains don’t cool things off as much as add unbearable humidity. My annual August dream evokes memories of lying in grass, soggy with dew, in full pads, stretching my hamstrings, staring through my facemask at a beautiful sunrise as temperatures climbed into the 80s. I simultaneously loved and hated it. Some years my dream is that I still have eligibility, and like the episode of “My Name is Earl” in which Earl’s grown behemoth of a brother, Randy, gets to go back to high school to try and score a touchdown in a game, I get to come back and play, armed with adult wisdom if not actual physical size and skill. Other years, I wake up in terror thinking I’m going to have to survive the heat and humidity, getting drinking water only as a reward and wearing 40 pounds of gear in extreme temperatures. But I mostly reflect positively on my two-a-day memories. Like the day when Coach Hale, perched in his aluminum tower above the field called out to defensive lineman Patrick Kessler who had removed himself from wind sprints. “Coach, I’m going to puke,” wheezed Kessler who was doubled over on the sideline. Two-a-day practices can be deadly. In the last few weeks, Georgia high school football players Forrest Jones of Locust Grove High School and D.J. 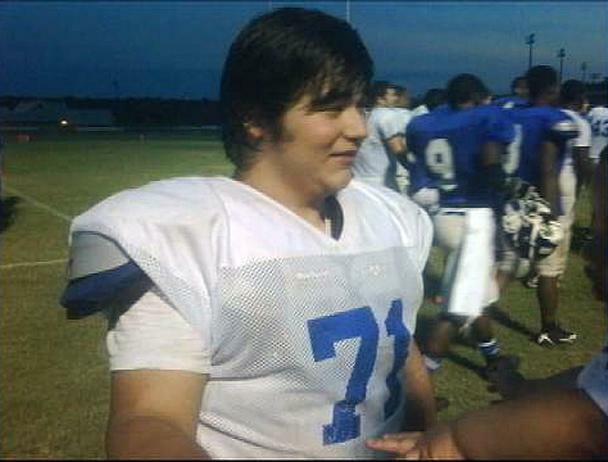 Searcy of Fitzgerald High School, both 16, died after pre-season drills. In both cases, heat played a factor and the highly-specific heat restrictions on Georgia high school football practices didn’t come into play because they were involved in voluntary, pre-season workouts. 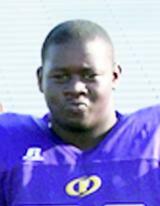 Searcy was even out of the state at the time attending a pre-season camp in north Florida. These types of deaths are increasing. A recent Reuters news story about deaths included the findings of University of Georgia associate professor Andrew Grundstein that 123 players died from heat exhaustion between 1960 and 2009. Grundstein’s research on hyperthermia revealed that the annual death rate has increased from an average of about one per year in the 1980s to a 2.8 yearly average in the last 15 years. He attributes this increase to higher annual temperatures and bigger players. Grundstein told Reuters that 95 percent of those players were overweight, 60 percent died after heat exposure in the morning hours, 85 percent were linemen and a full two-thirds of them died in the first two weeks of the preseason. It makes me immensely sad for the families of these young men, both of whom had dreams of playing football as a career. While I grew out of those dreams, for many, their futures are predicated on how hard they work in those sauna-like practices each summer. As we learn more about the science of sport and physiology, maybe it will become self-evident that dressing big boys in layers of equipment and sending them out to perform strenuous exercise in extreme heat is harmful rather than helpful. I find it interesting that a key point in the negotiations of the new labor agreement in the National Football League was ending two-a-day practices in summer training camps. Even the pros don’t do it anymore. Maybe the administrators who regulate high school athletics will soon come to a similar conclusion. In the meantime, my heart goes out to the Jones and Searcy families. Their dreams have turned to nightmares. May God be with them as they grieve. This entry was posted in Uncategorized and tagged 2-a-days, D.J. Searcy, earl hickey, football in the South, Forrest Jones, heat exhaustion, high school football, Highlanders, Lake Wales High School, Lance Elliott Wallace, Lance Wallace, my name is earl, New South, New South Essays, NewSouth, NFL labor agreement, Randy, Southern Culture, Southern football, the South, touchdown, training camp, two-a-days. Bookmark the permalink. I’m enjoying your New South Essays each week and appreciate the respectful and caring way you’ve challenged our Southern culture this week. A few days ago I was part of a conversation where someone suggested high schools playing basketball during the traditional football season and vice versa. We all agreed it was a great idea and one that would probably never happen.